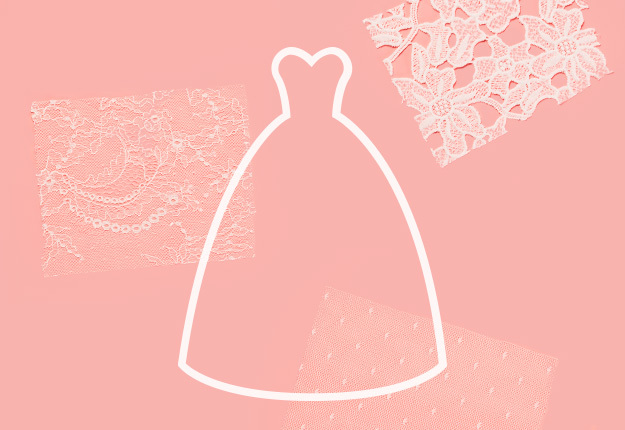 We’re here to help you pinpoint the wedding dress silhouette that brings out your best. 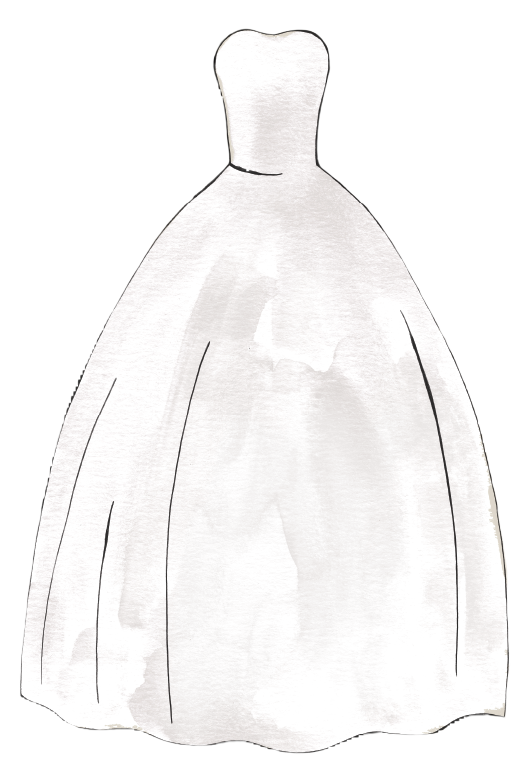 A fitted bodice paired with a dramatic full skirt. A slim cut that follows the body’s natural shape. Slim through the bodice and hips before flaring out. Trim on the top with a skirt that widens gradually. This magical gown belongs to a fairytale realm. With its fitted bodice and dramatically flared skirt, it’s no wonder that many ladies dream of wearing this dress on their special day. 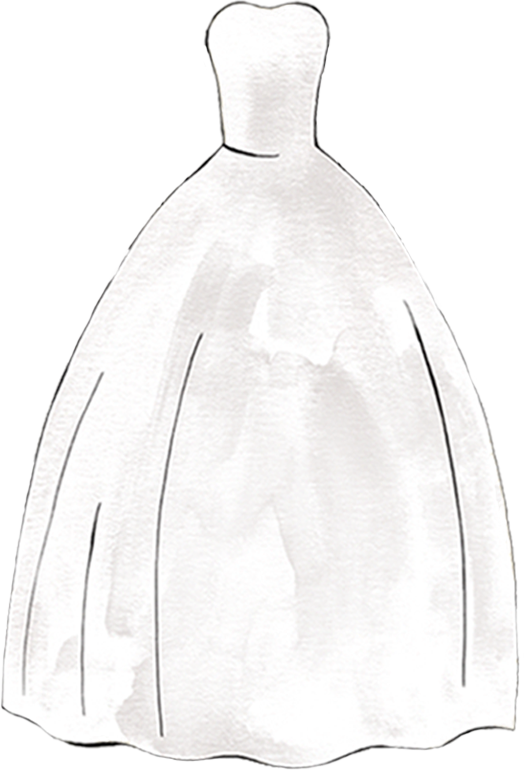 Ball gown wedding dresses are a stunning choice for most brides, but they can overwhelm a petite frame. Ethereal and enchanting, a mermaid wedding gown dazzles with its timeless elegance. 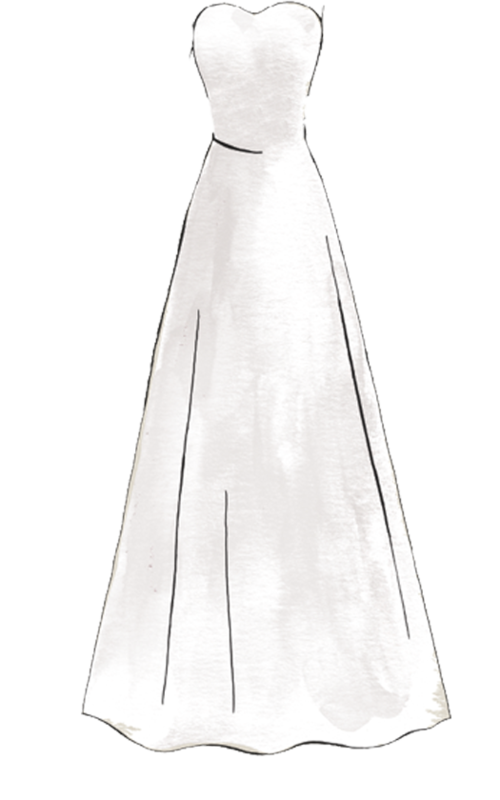 This fitted gown hugs the length of the body before flaring out at the knees in a romantic skirt. Mermaid is a dress style best suited for slender frames or women with hourglass figures who love flaunting their curves. 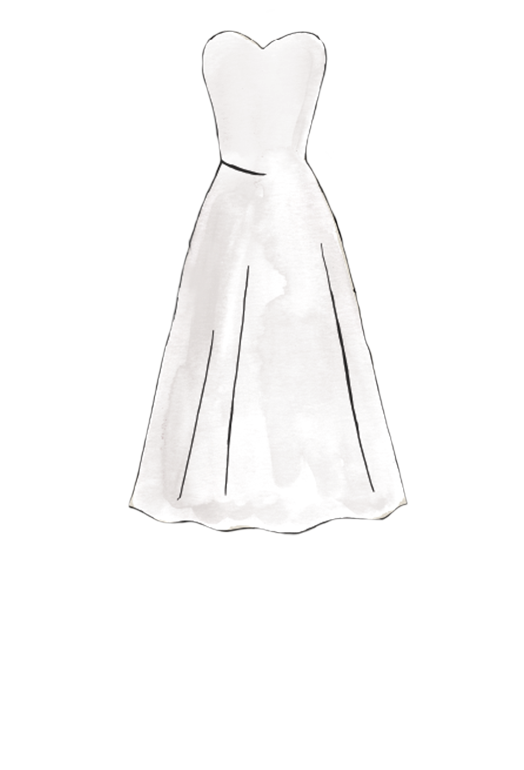 Effortlessly stunning, this bridal style provides a tailored, narrow silhouette from neckline to hem. 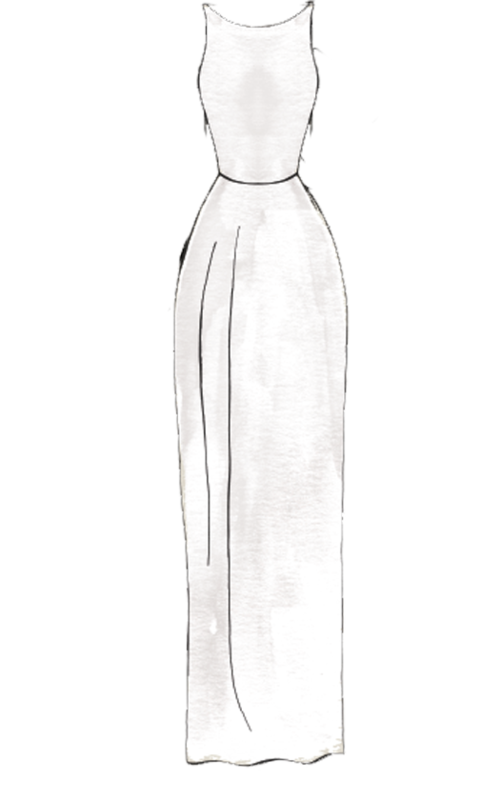 Sheaths are traditionally lighter than their full-skirted sisters and offer a body-hugging silhouette. This gown looks best on slender, petite, and hourglass frames. 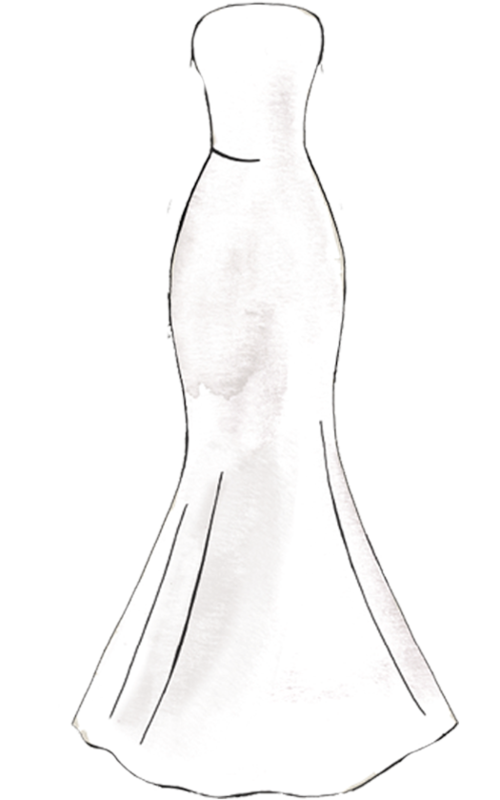 Growing in popularity for casual weddings, pre-wedding events and as a second-dress option for the reception, short wedding dresses bring versatility to the party. 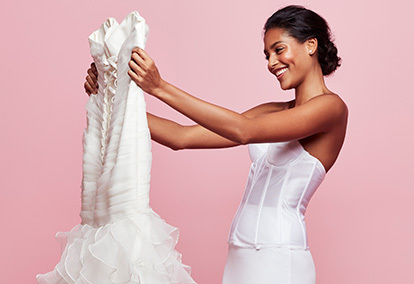 From tea-length hemlines – hitting between the knee and ankle – to knee-length and high-low styles, short bridal dresses are perfect for showing off your legs, dazzling shoes, and epic dance moves. 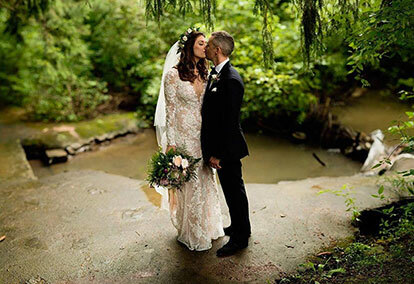 If you need help choosing the best bridal style for your special day, make an appointment at one of our locations. 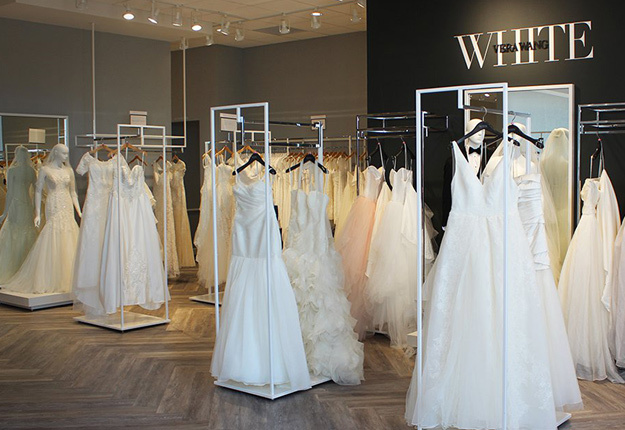 Our expert stylists can provide more guidance and inspiration to help you choose the dress of your dreams.